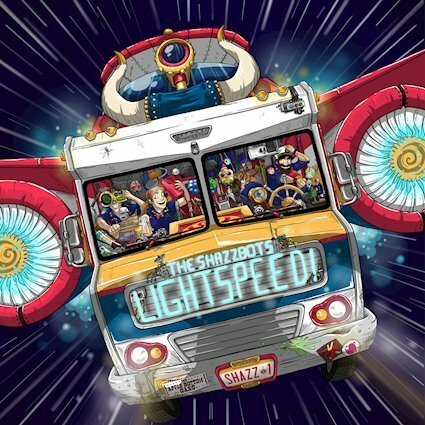 The Shazzbots ride again with their new album Lightspeed! If you are looking to move & grove with a country twang, you’ll love this one! Not gonna lie, I love the Space Winnebago. Just had to get that out. How cool is that!?! I mean, really! It makes me smile. A great first impression is essential and this album cover nailed it! The Shazzbots are an intergalactic rock n’ roll band! They love rocking out, art, science, creativity and their Space Winnebago! 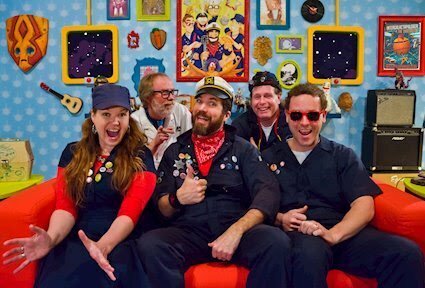 Their titles are also super fun: Captain the Captain, Scopes the Navigator, Luna the Data Analyst, Watts the Engineer, Professor the Science Officer, and Space Chicken the Lab Assistant! Be sure and check out their website to learn more, plus you’ll get a good giggle and a a bit of excitement on their About the Crew Page! 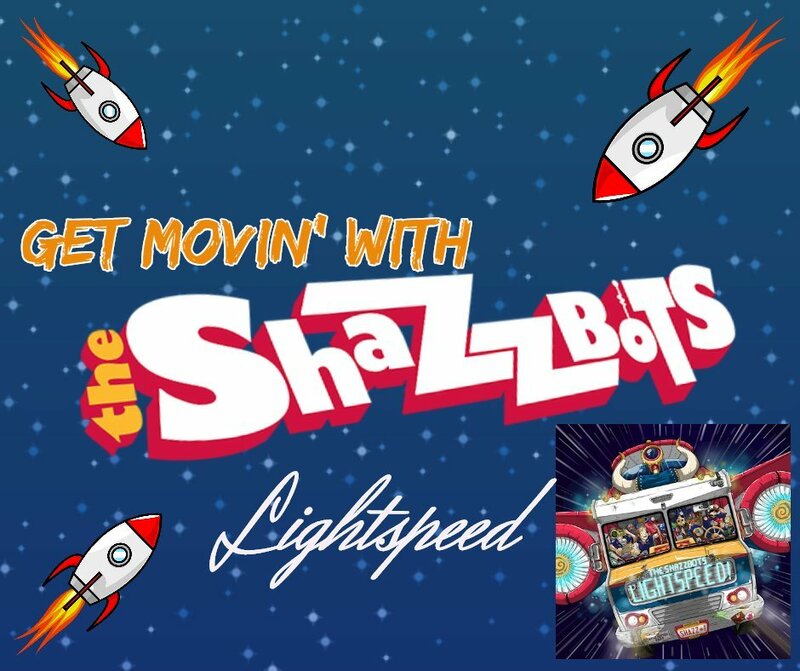 The Shazzbots have music, tv shows, tshirts, posters and even their own accessories! There is a ton of fun to found on their site indeed, I could write this whole review on their site alone! Seriously, check it out! Channel your inner child and go have a little fun! LightSpeed is their newest album and is a bit of a hoot. Will definitely make you laugh and the music definitely gets your feet moving. The lyrics encourage kids to learn, eat their food, and all good things. They are more about lessons than total silliness. The Shazzbots definitely have a country twang to their ‘rock n’ roll’. I’d say they are more like modern country or country rock for kids than an actual rock n’ roll sound. They definitely do not have a rock n’ roll sound. This girl grew up on country music and 70’s era rock n’ roll. There’s a different. If you can dig country, your kiddo will certainly enjoy this album and it won’t drive you crazy. I’ve certainly heard kids albums that I enjoyed more than this one. However, I’ve got a niece and nephew that would probably seriously love this! This Hop is part of our 2019 Valentine’s Day Gift Guide! 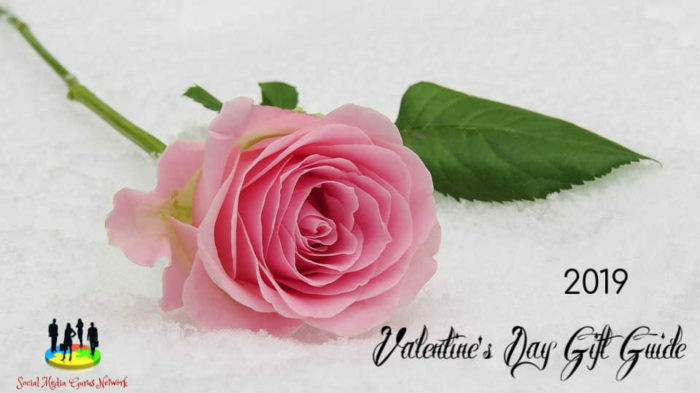 Check it out for fantastic gifts, products and giveaways!